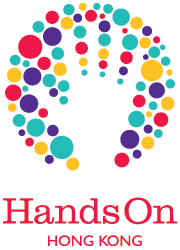 HandsOn Hong Kong | Help Out at Green Living RoadShow! Help Out at Green Living RoadShow! Description: Mission Healthy Greens believe green living is a way to achieve the well-being of the elderly in local communities at physical, psychical, and mental aspects. The coming roadshow with a theme of low-carbon life is launched by Mission Healthy Greens to promote the awareness of green living in the local communities, targeting the elderly who would be largely benefiting from this life style. Gardening workshops, games, and lectures will be hosted during the RoadShow. Volunteers are expected to assist the on-site logistics and enjoy the activities with the local residents. The RoadShow will cover three different locations, which are Wong Tai Sin, Sham Shui Po and Kowloon City. Volunteers will gather at the Wong Tai Sin first to have a briefing session. After that, volunteers will be assigned to one of the locations. Staffs from Mission Healthy Greens will be there throughout the service session.